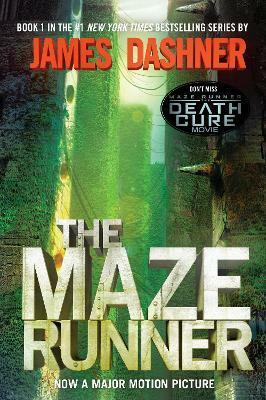 Book one in the blockbuster Maze Runner series that spawned a movie franchise and ushered in a worldwide phenomenon! And don't miss The Fever Code, the highly-anticipated series conclusion that finally reveals the story of how the maze was built! When Thomas wakes up in the lift, the only thing he can remember is his name. He's surrounded by strangers--boys whose memories are also gone. Outside the towering stone walls that surround them is a limitless, ever-changing maze. It's the only way out--and no one's ever made it through alive. James Dashner is the author of the #1 New York Times bestselling Maze Runner series: The Maze Runner, The Scorch Trials, The Death Cure, and The Kill Order, as well as The Eye of Minds and The Rule of Thoughts, the first two books in the Mortality Doctrine series. Dashner was born and raised in Georgia, but now lives and writes in the Rocky Mountains. To learn more about James and his books, visit JamesDashner.com, follow @jamesdashner on Twitter, and find dashnerjames on Instagram.